Balls are very near and dear to most men’s hearts. We use them for all sorts of fun and games. We try to take care of our varied balls and keep them from harm’s way. No one wants one of their balls to go flat for instance or explode due to mishandling. We also want to be sure that our balls don’t get stained, so we wash them frequently. Balls are a wonderful thing, but they do require some maintenance and care. A nice set of robotic balls would be pretty cool too, I think. These Sphero remote-controlled robotic balls that glow are perfect for all geeky guys. They are even good for the ladies too. That way your lady friend can have her own balls to play with so she won’t be tempted to take yours and crush them accidentally or play too rough with them and cause permanent damage. It pains me to even think of balls being mishandled. 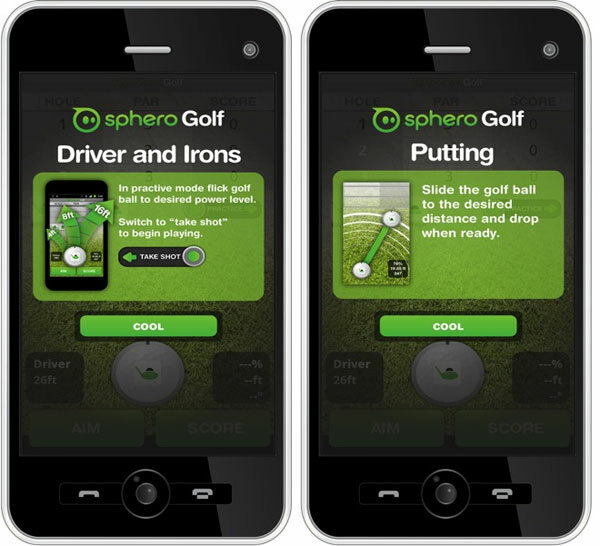 The Sphero balls will work with a cool golf app called Sphero Golf on both Android smartphones and the iPhone. Sphero balls are controlled by Bluetooth via your smartphone. If you are the developer sort, you can use the API to make apps that will let you play with your balls in new and interesting ways. The Sphero balls are 2.9-inches in diameter and can roll all around in any direction. Rolling balls make me a bit nervous honestly; I always fear they will get stepped on. Sphero balls will be priced at $130 (USD) and you will get the Sphero ball, the Sphero golf app, and two other apps as well for the price. You will be able to get the remote controlled Sphero balls later this year, but you can pre-order some balls now so you know you will have balls in hand come the holiday season. Balls.